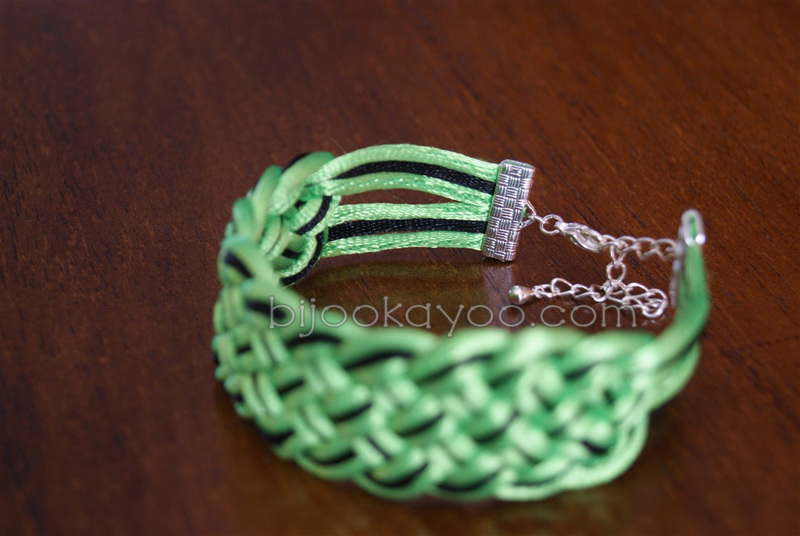 This large bracelet is made of green apple and black 2mm satin cords and silver plated findings. 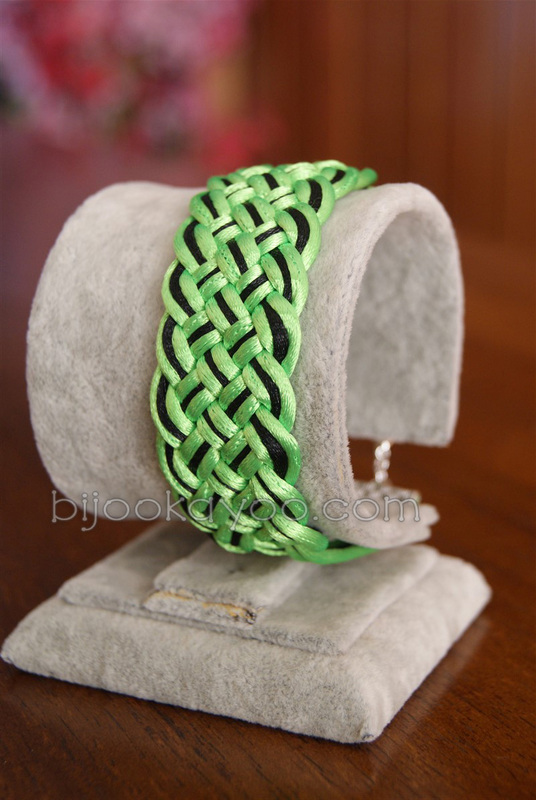 It features an elongated Prosperity knot. 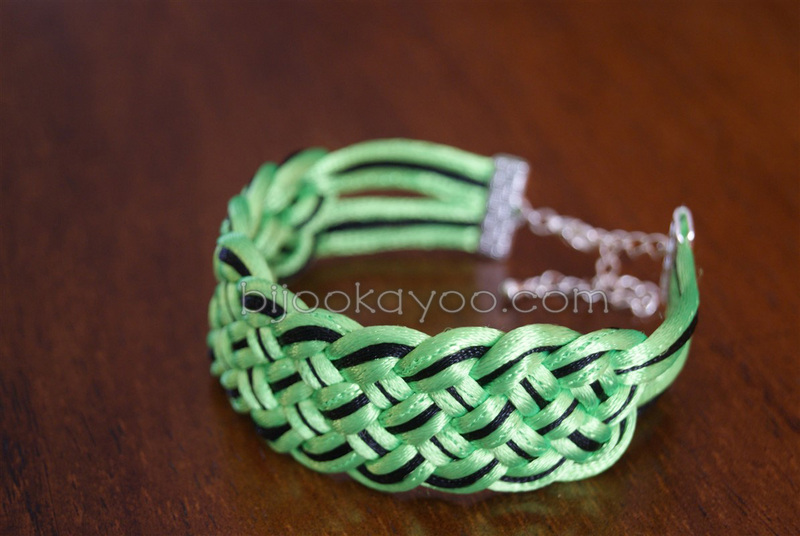 In the Chinese culture, each knot has its own meaning. Posted in BraceletsTagged adjustable, apple, bracelet, chinese, cord, Razer, satinBookmark the permalink.